Pioneers in the industry, we offer hdmi splitter and hdmi switcher from India. 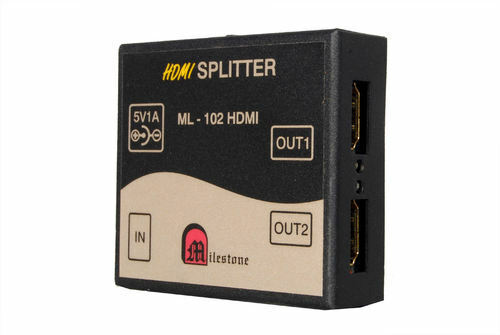 Aiming to become one of the leading organizations of the industry, we are engaged in offering a world class collection of HDMI Splitter to our patrons. Easy to use and install, these are working on different type of resolutions thus being one of the reliable choices of the industry. Apart from this, these are checked on different grounds before they are dispatched at the destination of our customers. 1 HDMI Input & 2 Simultaneous HDMI Outputs. 1 HDMI Input & 4 Simultaneous HDMI Outputs. 1 HDMI Input & 8 Simultaneous HDMI Outputs. 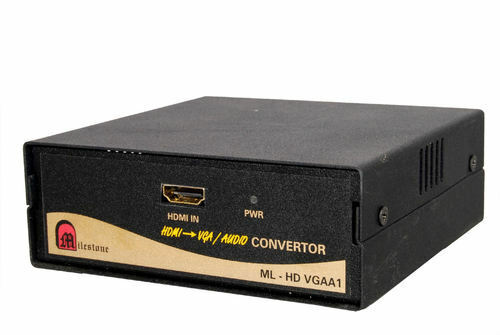 HDMI SWITCHER by Milestone is a device that helps person/s to share computers, laptops, DVD player, DVR, camera with single or multiple projector or monitor or LCD or Plazma, providing single or simultaneous displays having HDMI Ports. Easy to install – plug and play kind. Uses Equalization & re-clocking technology. Fully compatible to HDMI Ports. Active Inputs selected automatically in auto mode. Scan mode & Manual mode also present. We introduce ourselves as an eminent manufacturer, importer, exporter and supplier of HDMI Splitter. 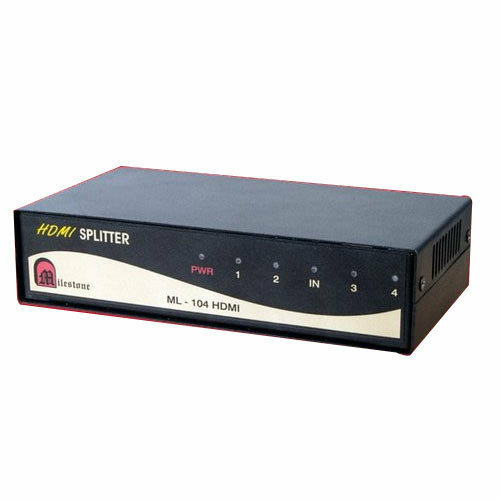 Used to send the HDMI output of set-top boxes, DVD Players and other HDTV devices to as many as inputs of monitor and projectors, offered splitter is designed by using high grade components and advanced technology under the vigilance of adept professionals. Apart from this, clients can avail this splitter from us at market leading prices.